Krispy Kreme has brought back their limited-time Football Donuts to help you kick off the football season. 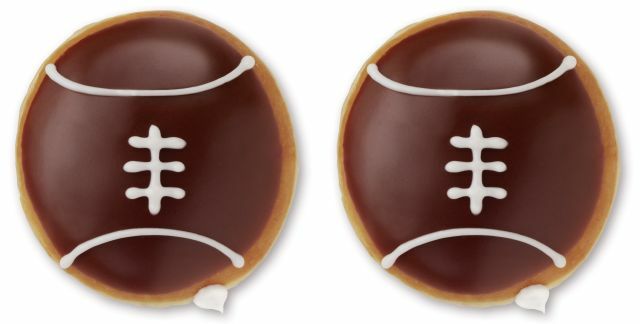 The donuts feature yeast donuts with Kreme filling, dipped in chocolate icing and decorated with white icing football laces. You can find them at participating Krispy Kreme locations on weekends throughout the football season (which typically runs from late August through early January).